MY 1988 Seiko AGS model still had the older original capacitor installed, which had always had documented problems with charge times and capacity. So I decided to upgrade it and change the original capacitor for the replacement as it was obvious the watch was unable to keep a decent charge for more than a day or two at most. Replacement is easy as the replacement 3023 24R is the same size diameter. Now don’t be fooled by the apparent capacitor size difference on first looks as it can be very misleading when you view the capacitor via the exhibition glass back, as the visible top part of the capacitor appears smaller diameter than the replacement. This is because the capacitor is stepped and the upper part is a smaller diameter whilst lower part is actually a larger diameter. 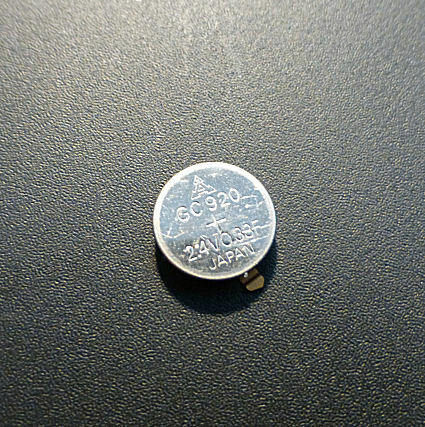 The old capacitor (usually the GC920) can be directly replaced with the 3023 24R. The capacitors have a small set of contacts weld/attached to the capacitor case as shown on the image below. 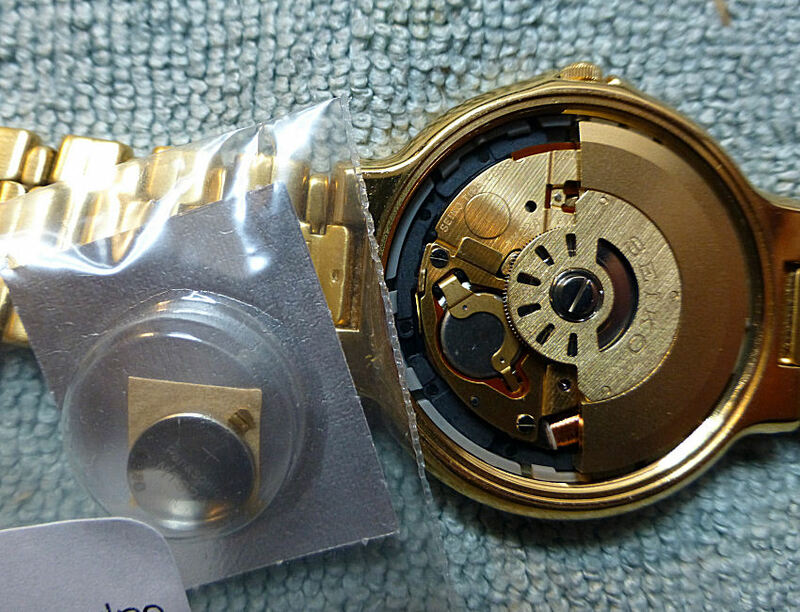 First remove the screw back of the watch, then unscrew the central Rotor screw and remove it and the Rotor just lifts off. This allows easier access. 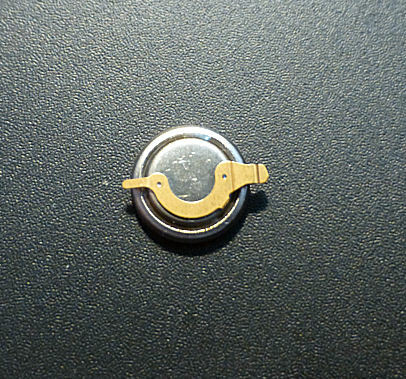 The capacitor is recessed and before you can take it out you have to unscrew two small screws holding a surrounding top plate. Once the screws are removed, lift away the top plate and underneath there is a small similarly shaped brown insulator gasket, simply lift it off from it’s two or three locating points. You can now remove the capacitor. Fitting the new one is simply the reverse of the process and once all done up again, but don’t forget the brown insulator gasket, which fits under the top plate cover. Once you’ve done it all up again a few shakes of the watch and it springs into life – BUT this time in one second ticks as it should do – a testament to the superior capacitor function. Once fully charged it should last at least 30 days and perhaps 60 days (the 90 days quoted by Seiko may be over optimistic). Interesting to note how this pioneering technology has moved on from 1986 and the amazing models that are now produced by Seiko and others. Not only has the miniature generating system advanced, but the science behind battery and capacitor systems is almost unrecognizable today and prompted in no small part by the watch companies quest for miniaturization. Indeed the introduction of “smart” technology has also hastened the quest for ever smaller and more efficient forms of energy production and storage. We are entering the world of battery mediums composed of incredibly thin strips of material and now transmitted energy with no contact between storage and user. Hi, I have one of these. As it has stopped working and probably could be fixed, I was wondering if you might know a rough estimate of its value. The reference no on the back is 880221. Also has 7M22 – 8A20 .A4. My name is Kris and can be emailed on plazavegas@sky.com. The approximate value depends on the age. If it is a true AGS model (should say on the dial) which was introduced in 1988 (later evolved into the Kinetic series) and simply requires a change of capacitor and not a movement fault, then depending on condition it may be worth somewhere around the £150 – £200 mark. Note that quite often these models are mistakenly assumed NOT to be working, is the fact it can take easily 5 or 6 minutes of physical continuous movement to get it started (Hold the watch in your hand and wave it from side to side). The rotor movement has to drive through a gear chain which multiplies the rotor movement by 100 . This then turns a power-generator at high speed which produces a current which then charges the capacitor and finally then powers the timing circuits – so it can take a bit of time to manage this start process. Even then it may indicate a 2 second jump of the second hand – so will require more waving about to get it ticking as it should. The newer capacitors don’t quite take as long to initially charge, though even then it is not instant by a long way. Once they are running correctly though and once on the wrist, they perform just like any automatic.